Fire Snake Trojan is the highest quality creatine supplement enriched with taurine. Its composition is constructed in such a way as to maximize the positive effects of all this advanced connection. 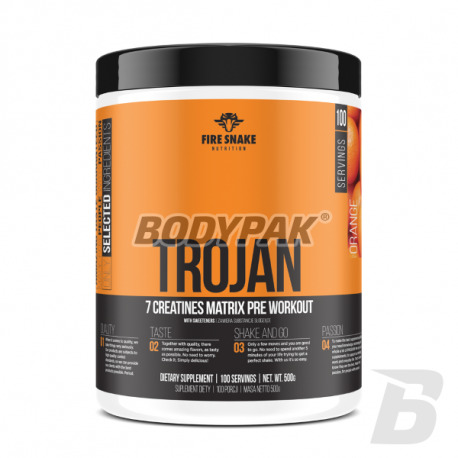 The Trojan contains up to 5 different forms of Creatine: Creatine Malate, Creatine Ethyl Ester, Creatine Monohydrate, Creatine Phosphate and Creatine Anhydrous. These were mixed in such proportions as to obtain the maximum effect - increasing muscle mass and strength thereof.